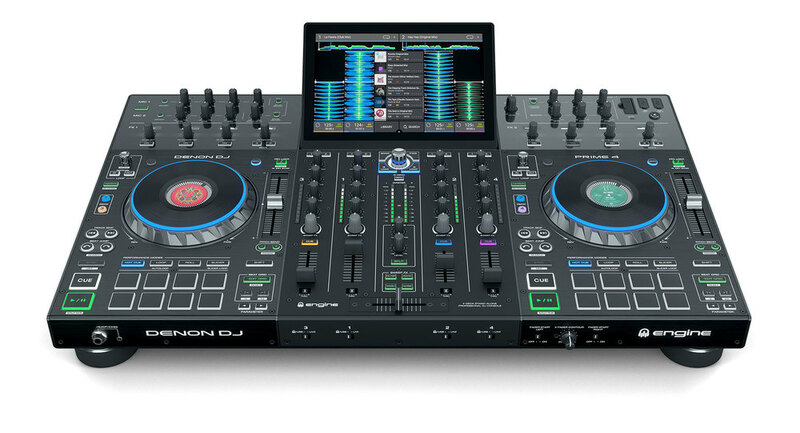 This is the Denon Prime 4 Standalone DJ System which includes powerful new DJ technology from a trusted name in audio equipment that has over 25 year's experience. 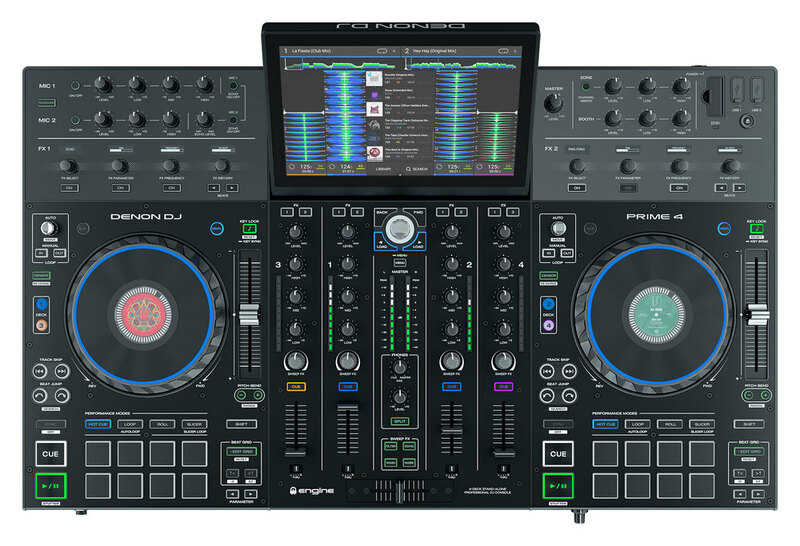 The Prime 4 has some amazing features, including some industry firsts for standalone DJ controllers, like Timestretch; a way to move smoothly between tracks with different BPMs which is great for playing around with music at home. 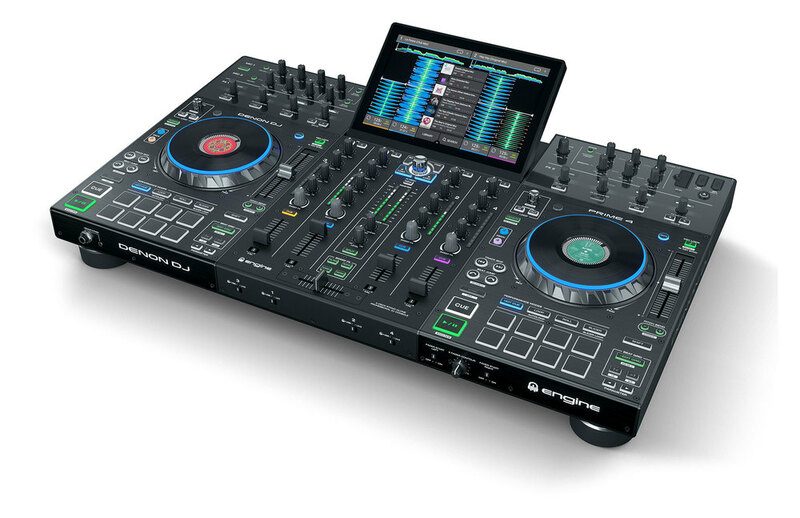 Or 'Zone Output' letting you master a venue by giving you the freedom to send a pre-made playlist to the bar while you continue with your live performance on the main dance floor. 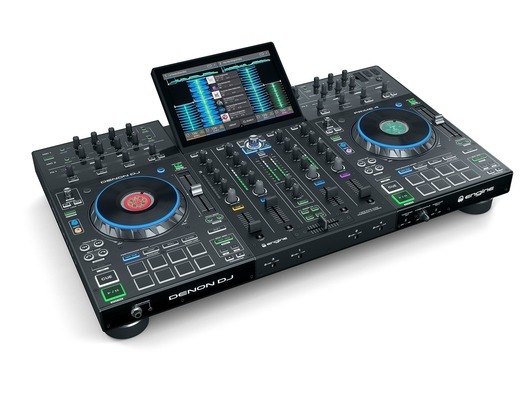 The Denon Prime 4 is a huge step forward into modern DJing in a lot of ways, like the inclusion of a 10" interactive screen that lets you swipe swiftly between tracks for a set that will flow more smoothly than ever before - plus with four USB and 1 SD input you can easily access all of your music and media without the need for heavy stacks of vinyl or CDs. 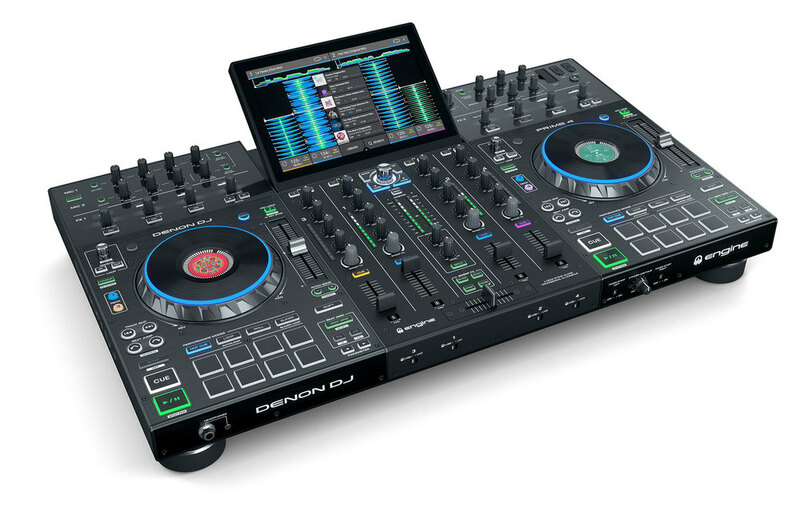 Made with Denon's 25+ years of experience in audio technology the Denon Prime 4 is an excellent investment for any professional DJ who wants an affordable, modern set up.